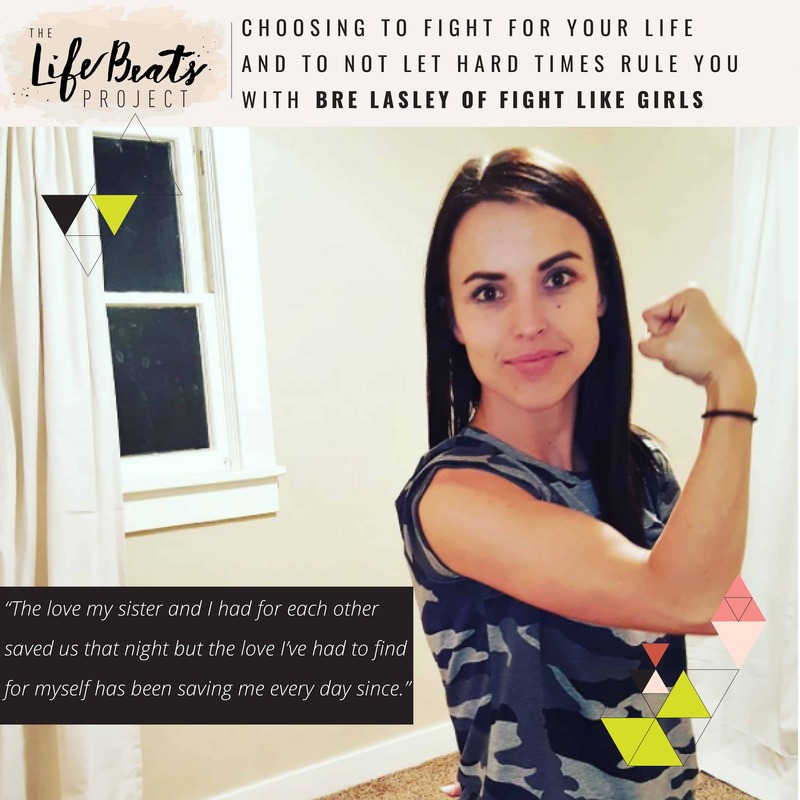 Last year Bre Lasley and her sister were brutally attacked, stabbed, and nearly killed by a man that came into their home through Bre’s bedroom window. On today’s podcast episode Bre courageously shares with us the events of that night in a way that you will not realize that in the middle of her story I am completely consumed with it and have stopped asking her questions, because you too will be hanging on every word as she paints this terrifying scene for you. Bre begins by sharing about who she calls Pre-Bre, the Bre she was before the attack, one full of adventure traveling the world on her own and finding joy in running outside. She also tells us about the relationship she has with her sister and goes on to share in the interview how sisterly love is what ultimately saves them that night. Bre then details out the attack and how she and her sister fight back against a huge, drugged up, ripped man who’s only intention for entering their home was to kill them. She shares how she later learned that only 20% of women fight back and how her sister was in the 1 % that fought fiercely the entire time but how she on the otherhand went back and forth between the 20% who did and the 80% who didn’t. She tells of the heroism of her sister who ran to find help and the off-duty police officer who saved her life as none of their numerous 911 calls were dispatched. Bre shares how the fight did not end with her attacker’s life ending but how depression and anxiety have been the real battles every minute and hour of each day since then and answers several of your listener submitted questions including how she finally found hope after feeling for so long that there was none. Bre tells why she started the organization Fight Like Girls with Elizabeth Smart to help girls everywhere fight whatever battle they are facing, whether that is depression, eating disorders, anxiety, addiction, abuse, whatever it may be. She answers the question of ‘why can we relate to some one else’s story if our fights are so different?’ She says that we can relate to the choice to keep fighting. Come listen with your own fight in mind and how Bre’s continual fight can inspire you in your own. Due to the intense content and implied language in this episode you will want to be mindful of little ears around you. Want to know if this episode it for you? This episode is perfect for anyone who is battling with something in their lives that makes them question whether there is hope for change. It is perfect for someone who may be battling depression or anxiety and is looking for ideas on how to work through it. It is for someone who has experienced something traumatic in their life, especially someone who may have been attacked. It is for everyone who wants to feel inspired in their own life and wants to understand why we can relate to each others’ stories even though they are very different.